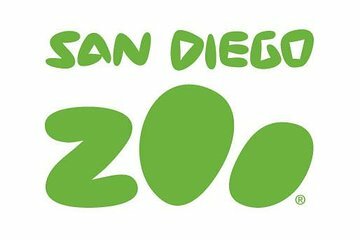 Skip the hassle of finding a taxi, driving on unfamiliar streets or figuring out public transportation with convenient round-trip transportation to the San Diego Zoo from select San Diego hotels. Ride in comfort to the world-famous zoo, which offers a fun-filled day out for the whole family. With thousands of creatures to see, keeper talks, animal shows and rides, you'll enjoy a full day to explore the extensive zoo before your return trip to your hotel. This option provides transportation only, admission not included. Start your day off right with morning pickup from your San Diego hotel and transfer in a deluxe climate-controlled sedan, van, coach or other vehicle suited to the size of that day's group. Relax on the ride to the San Diego Zoo, without the worry of driving, parking or finding your way there. Upon your arrival at the zoo (admission not included), you might want to get an overview of the sprawling zoo by taking a guided bus tour on the double-decker bus. You can hop on and off the Kangaroo Bus to get to four different sections of the zoo, or take to the air in the Skyfari Aerial Tram to take a shortcut across the zoo and see the animals and gardens from above. Be amazed by the diverse array of exotic animals that roam in spacious enclosures similar to their natural habitats and walk through a realisticrainforest setting to observe a variety of apes, including some rare species. Admire majestic Malayan tigers, and watch a wide range of colorful jungle birds soar through the air. Learn all about California sea lions and keep your camera handy for great photo ops. The kids can go wild in their own play areas, which feature a petting enclosure with small animals; and animal keepers feeding and cuddling animal babies. Fall in love with the cuddly giant pandas and learn more about these endangered animals. See polar bears frolic underwater, and delight in the adorable antics of Bornean sun bears, the smallest bears in the world. After approximately seven hours at the zoo, reboard your transport vehicle and rest on the drive back to your San Diego hotel. Please note: This is a transportation-only package; admission to the San Diego Zoo is not included. Five Star Tour Company was disappointing...they state to call to confirm pick up time however they don't answer the phone on the weekends. So how could we confirm? I actually ended up calling the driver (Atayla) who took us on the City tour the day before (actually booked the tour through their website not yours...didn't know you all used the same company) ...Atayla gave us her business card with an cell phone number...she's the one who called me back to confirm the time...she was a great tour guide and a great resource for confirming.